The Aditya Birla Group is consolidating its branded apparel business under its lifestyle retail firm Pantaloons Fashion and Retail India Ltd and would rename it as Aditya Birla Fashion & Retail, creating India's top branded clothing company by revenues and number of sales outlets, it said on Monday. Currently, the business is housed under separate subsidiaries and business units of Aditya Birla Nuvo Ltd (ABNL), a diversified public listed firm of the group. This is spread across branded apparel with the group's own brands such as Louis Philippe, Van Heusen, Peter England and Allen Solly (housed under Madura Fashion, a unit of ABNL); luxury branded apparel with international labels and retail outlets for Madura Fashion brands (part of Madura Lifestyle, a part of Madura Garments Lifestyle Retail Co Ltd, which is a subsidiary of ABNL) and a lifestyle department chain focused on apparel (Pantaloons Fashion and Retail, acquired from Future Group). “This move to bring all the branded apparels businesses under one roof will accelerate the growth of these businesses and help exploit emerging opportunities presented by the rapidly growing Indian apparel market,” Pranab Barua, business director, apparel and retail business, Aditya Birla Group, said. As part of the corporate rejig, it will bring all of this under Pantaloons Fashion and Retail. Madura Fashion and Madura Lifestyle together generated sales of Rs 3,645 crore with EBITDA of Rs 443 crore, while Pantaloons Fashion clocked revenues of Rs 1,801 crore with EBITDA of RS 62 crore for the 12 months ended December 31, 2014. Madura Fashion and Madura Lifestyle have 1,735 exclusive outlets and over 6,000 additional points of sale as on March 31, 2015. Madura Fashion is the top menswear company in the country with Louis Philippe and Van Heusen as the two top selling brands in their category. Madura Lifestyle sells international labels under The Collective and Madura Fashion brands under the retail format Planet Fashion. Pantaloons claims to be among the top three large format fashion stores in the country and the top player in the women’s wear segment. It has 104 stores and 30 factory outlets in 49 cities as of March. The boards of all three companies—Pantaloons Fashion, ABNL and Madura Garments—have given their approval to the consolidation in meetings held on Sunday. The boards have also approved the swap ratio recommended by independent valuers. As part of the deal, shareholders of ABNL will receive 26 new shares of Pantaloons Fashion for every five shares held. On the other side, Madura Garments' shareholders will get seven new shares of Pantaloons for every 500 held pursuant to the demerger of Madura Lifestyle. Preference shareholders of Madura Garments will get one share of Pantaloons Fashion. “The consolidation will unlock value for the shareholders by giving them an opportunity to participate in the promising fashion space directly through ABFRL,” said Kumar Mangalam Birla, chairman of the Aditya Birla Group. The combined entity will have a debt of about Rs 1,800 crore, which includes about Rs 1,300 crore of debt that it had assumed from the acquisition of Pantaloons Fashion. The transaction is expected to be completed in six-nine months. While Standard Chartered Bank is acting as transaction advisor, Amarchand & Mangaldas & Suresh A Shroff & Co are legal advisors to the transaction. Price Waterhouse & Co LLP and Bansi S Mehta & Co are independent valuers; JM Financial provided independent fairness opinion to Pantaloons; Axis Capital provided independent fairness opinion to ABNL on the deal. 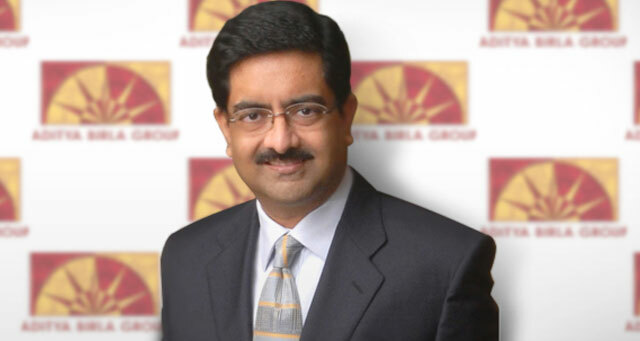 Aditya Birla Group had entered into fashion retail with the acquisition of Madura for Rs 236 crore in 1999. Later in 2012, it acquired Pantaloons from rival Kishore Biyani's Future Group. ABNL scrip was quoting at Rs 1738 a share, up 10.68 per cent; shares of Pantaloons hit the upper circuit of the day rising almost 20 per cent to Rs 136.60 at 11:10 AM in a strong Mumbai market on Monday. Pantaloons Fashion and Retail Ltd.